her grandson, Justin Andrews, age 15. 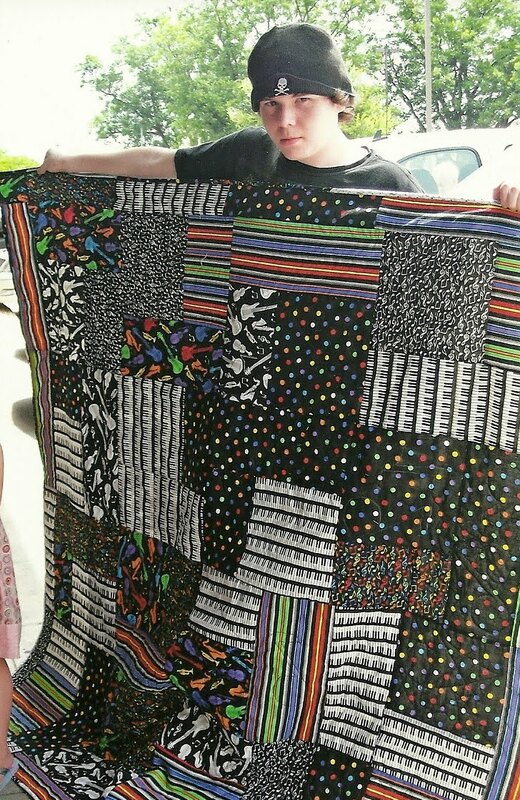 His first quilt. 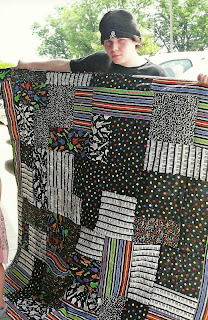 Justin with his first quilt!